Choosing a major can be intimidating, but it doesn’t have to be. Each year, a large number of our incom­ing first-year students come to Eckerd undecided about an academic major. But eventually all students find their way into one of close to 40 majors offered at Eckerd, a major that matches their interests and passions. We help each student find the area that speaks to his or her interests, and help students cultivate those interests over time. The goal of a liberal arts and sciences education is to get students see their world through a variety of lenses. Examining the natural, cultural, social, behavioral, and aesthetic world helps to augment the experience of studying everything, from Ancient Studies to Marine Science, from Visual Arts to Psychology, and beyond. A liberal arts and sciences education also allows students to draw from a variety of theoretical, methodological and philosophical frameworks to inform their own educational journey. 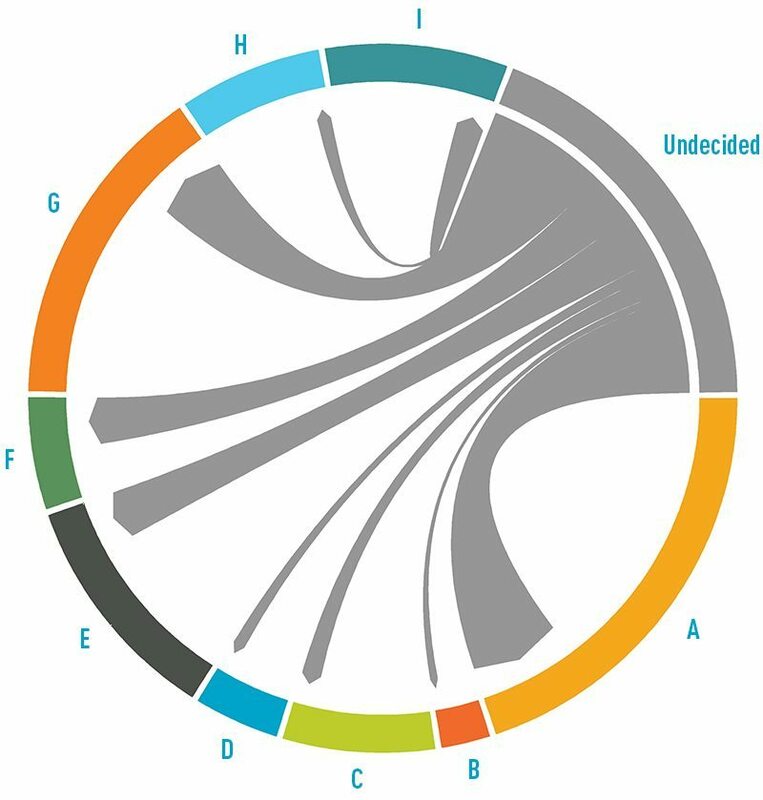 The chart above illustrates how our first-year “undecided” students end up choosing a major (or two) in a wide variety of disciplines (groups A-I). Beyond the curriculum, Eckerd provides a number of other opportunities for students to explore their potential majors. 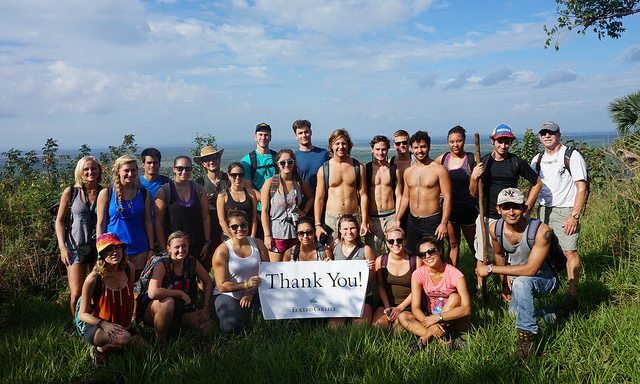 Study abroad, internships, workshops, student clubs and organizations, interest inventories and career counsel­ing, as well as lecture series help students to begin thinking about where they want to see themselves once their time at Eckerd is finished. As you prepare for your first-year experience at Eckerd, remember that being ‘undecided’ might be the most liberating time of exploration in your college career! Students are not expected to take this journey alone. The mentor program at Eckerd encourages a strong, nurturing relationship between students and faculty that helps students become invested and involved in their aca­demic venture. Through careful planning with the mentor during Autumn Term, students are able to draw on personal interests and weave them into a challenging and stimulating first-year experience. The mentor continues to work with the student beyond the first year in tailoring the academic program to his/her particular interests, continuing to mold the experience to make it more personal. In these subsequent years, students are expected to take a number of perspective courses across the disciplines to provide a broad understanding of the liberal arts and sci­ences. The perspective courses provide students with unique opportunities to explore the arts, humanities, natural and social sciences, and to examine our relationship with the environment and other cultures. Students typically find the breadth of perspective course offerings and flexibility of the academic programs liberating and fulfilling.